E&K Cleaning Service wants to reward and thank you for referring your family, friends and colleagues. 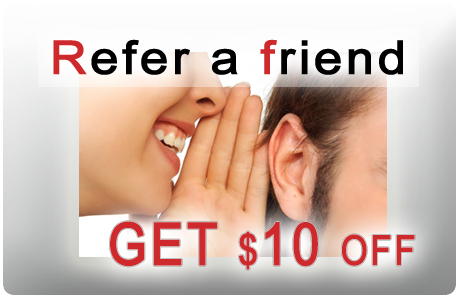 We offer Refer a Friend Bonus Program. Refer a customer to us and after completion of their first cleaning, you will receive a credit certificate for $10.00 of your house cleaning. This is our way of saying "Thank You for Being Our Client" You may use the certificate whenever you like and you may combine multiple certificates for greater savings. Refer E&K Cleaning Service as many times as you like. There is no LIMIT on the certificates you can receive. There is no limit on how many friends you can refer in order to get a discount on your cleaning. Your referral must mention that they were referred by you when scheduling their first cleaning. Referral credits have no cash value, are not transferable and may be used only as a credit for residential home cleaning.